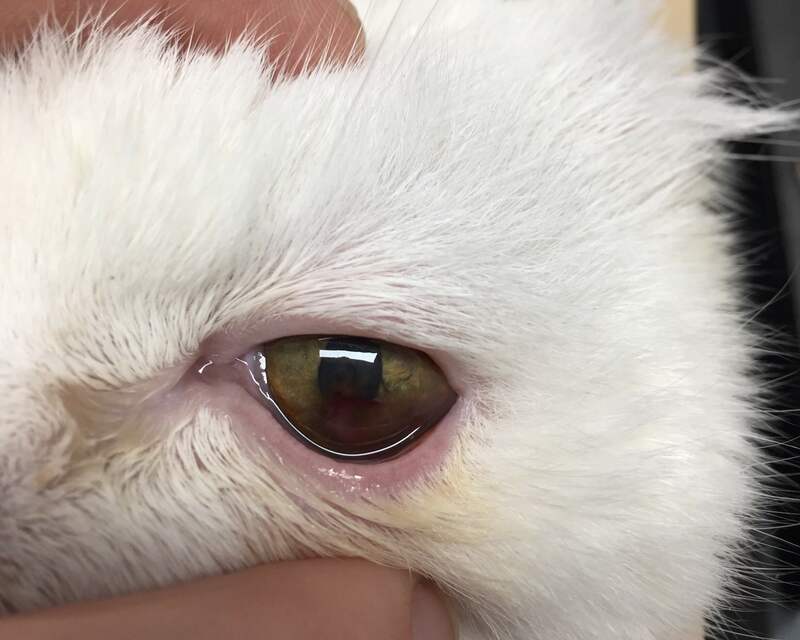 Uveitis is an eye condition occurring in cats and dogs and can be caused by underlying health issue within the eye and also elsewhere in the body. It can be diagnosed through a full investigation of the eye alongside a more thorough examination of your pet’s overall health. 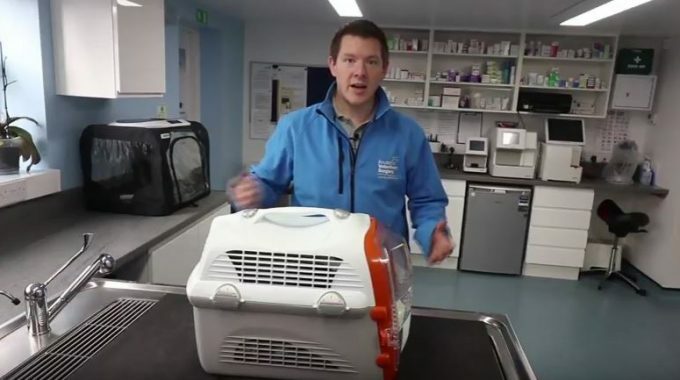 Find out more in this informative article and book an appointment with your team at Knutsford Vets if you have any concerns about the condition. Uveitis is an inflammation of the middle section of the eye. It can occur as the result of a disease elsewhere in the body or within the eye itself and is caused by a change to the rich blood supply to the middle layer of the eye. The middle layer is the uveal tract, rich in blood vessels. This middle layer is composed of the iris (the coloured area around the pupil), the ciliary body which produces fluid inside the eye (called aqueous humor) and the choroid that provides nutrition to the back of the eye. As discussed above, uveitis is inflammation of this middle section of the eye. 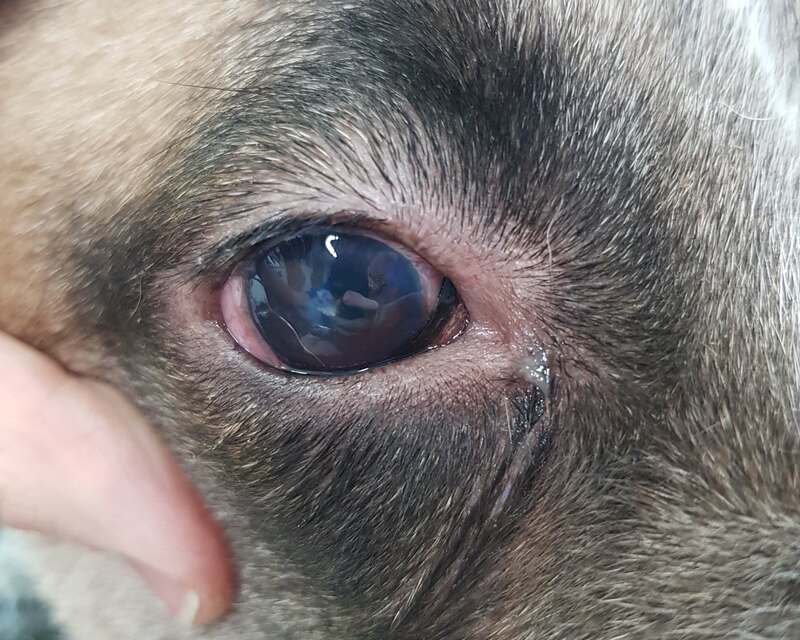 What signs do I see in a pet with uveitis? Subtle changes may also include a more generally dull appearance to the eye. 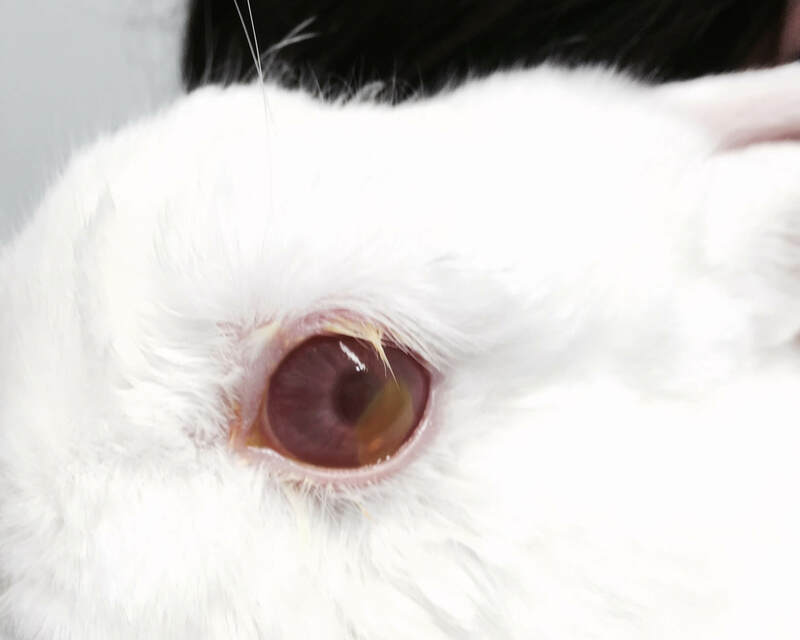 How is uveitis diagnosed in animals? Your veterinarian will diagnose uveitis during a detailed ophthalmic examination. This will include direct visualisation using an ophthalmoscope, slit lamp and illumination of the uveal tract (of which the iris is part of) using a bright light. Internal pressure of the eye will likely be reduced so is measured using a tonometer and in some cases the eye(s) may be imaged using ultrasound to assess the retina, lens and rule out things like tumours. An ocular exam is obviously part of a wider general exam as there are many systemic diseases that can manifest as uveitis as mentioned earlier. Blood and urine tests are often helpful in taking a look at the bigger picture. All of these checks can be carried out by your team here at Knutsford Vets. If you have concerns about Uveitis, why not book an appointment today? 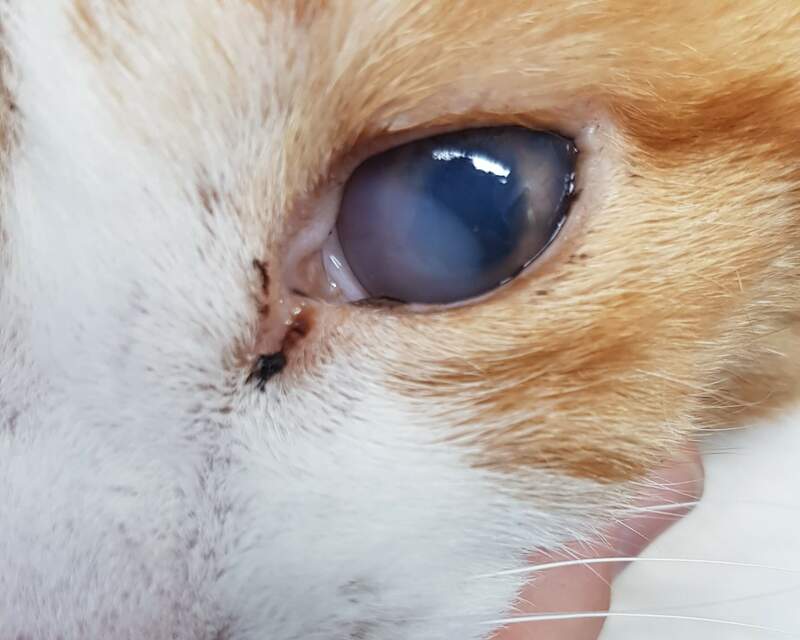 In the cat, uveitis can be caused by Feline Leukaemia Virus (FIV), Feline Infectious Peritonitis (FIP) with trauma such as cat scratches commonly reported. In dogs, uveitis is a common complication of diabetic cataracts, trauma, corneal ulcers and tumours of the eye. Cases need to be treated aggressively to prevent lifelong damage to structures of the eye and blindness. Ideally the underlying disease process is identified so the cause of inflammation can be prevented at its source. Corticosteroids given as drops, injection or orally help reduce inflammation. Corneal ulceration or certain systemic diseases may prevent their use however. Atropine can be used to help relax the iris to reduce pain and scarring. Whilst antibiotics are used when a bacterial infection is implicated as the cause of uveitis. Do you need to monitor anything following successful treatment of uveitis? Uveitis may damage the drainage angle of the eye, meaning fluid can find it hard to drain from the eye, causing a buildup of pressure within the eye known as glaucoma. Other conditions may include corneal ulcers, cataracts and retinal detachment. On all occasions, pets should be monitored carefully following a case of uveitis. Does uveitis have a good prognosis? Uveitis is a serious condition and if left untreated can lead to blindness. 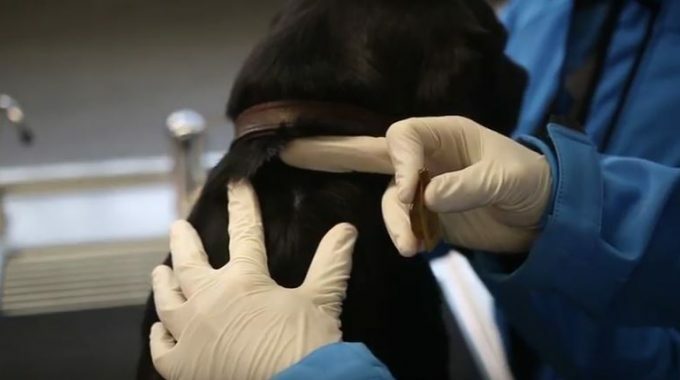 The condition requires detailed examination and investigation, aggressive management and regular follow up monitoring and/or lifelong topical medications. All are important for successful treatment and resolution of the condition. Some oral medications may cause side effects such as; changes in thirst, appetite or behaviour, gastrointestinal upsets (vomiting or diarrhoea), changes in white blood cell levels (leukopenia) or changes to blood chemistry (altered kidney/liver parameters). That being said, with early diagnosis, appropriate treatment and follow up management, the prognosis with uveitis can be good. Your team here at Knutsford Vets have a range of state of the art ophthalmic equipment available at their disposal which can help diagnose uveitis in your pet.